The owner of the TWO ROTTWEILERS that killed 6-year-old Uriel Ockhuis in Hillview, Seawinds, says he would have killed the dogs himself to prevent the incident had he been present. Jonathan January spoke to the Cape Times on Wednesday about the incident in which his two dogs attacked and killed Uriel in Gladiola Street on Monday. The child’s family said he was bitten 72 times. “I just want to tell people how I really feel about what had happened. “I always tried all preventive measures (to enclose my dogs), there’s big gates and locks that are closed. Nevertheless, a child’s life is worth more to me than a dog’s life. I can’t turn back what happened. I can only tell you how I feel. “If I had to be here and I saw it - because my dogs have never shown me any aggression - I would have cut my own dog’s throat, because I care more about children,” January said. He said city council law enforcement and the SPCA collected the dogs the same night. January said he agreed to them being put down. He said when he went to the Retreat Day Hospital after learning that Uriel’s parents were there, the father told him that the child was dead. “The father embraced me and we went into the hospital, and that’s when everything just turned dark and my legs caved in under me. “When I recovered I went to talk with the family. I just want to say to everyone again, including the community, you know me - it could have been my own grandchild - I’m deeply, deeply sorry,” January said. Uriel died on his father, Gabriel Ockhuis’s birthday. Speaking in his lounge with his mourning wife Carol and their other children beside him, Ockhuis said he missed Uriel, who always waited for him to bring sweets from work. On that fateful day he brought biscuits home, said Ockhuis. He picked up his son and carried him indoors. Uriel teased his mother with the biscuits and ran out to play, said Ockhuis. The family said they were still waiting for the autopsy before they decided on the date of Uriel’s funeral. 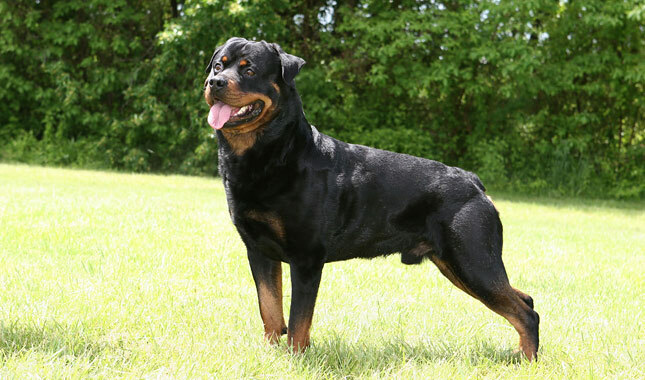 SPCA spokesperson Belinda Abraham confirmed that the two Rottweilers were put down. “We would like to take the opportunity to caution owners of any power breeds such as Rottweilers, Pitbulls and Staffordshire Bull Terriers against encouraging aggression in these dogs. “Owning a power breed is a great responsibility,” she said. Police spokesperson Captain FC van Wyk said an inquest docket was registered at Muizenberg SAPS and was being investigated. My dog is a mutt. She's part Labrador Retriever. She pointed today. I trained her to do that. Yeah. No, really. It's not instinct. I got down on all fours, and showed her how to point at other animals. I had to coax her to lift her front paw and put her hind leg back. It only took 6 months. I swear, people that don't understand that pit bulls and Rottweilers want to kill, and it comes to them naturally, are touched in the head. Labs aren’t Pointers. It’s in the name.